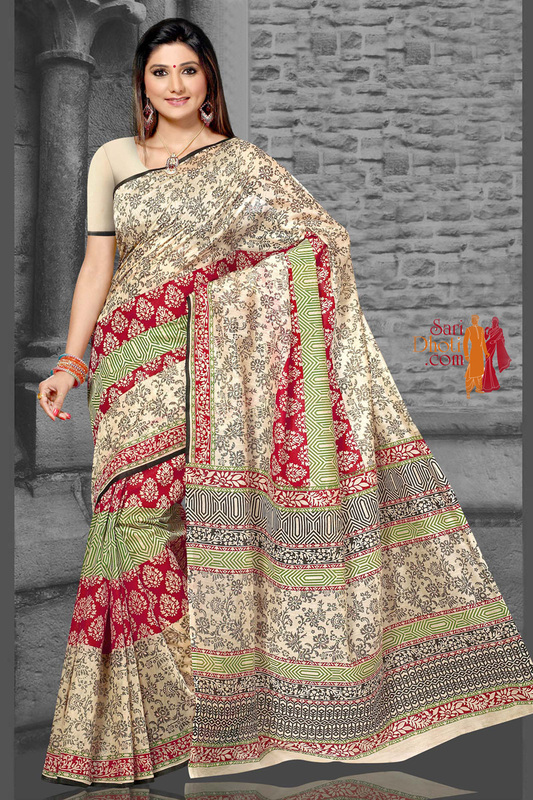 Printed polycotton saree with matching blouse piece. Ideal for casual occasions. Store in dry place away from sunlight.